WING CHUN Kung Fu is probably the best known of all the Kung Fu styles and the most widely practised, largely because of the late Bruce Lee who trained in this devastating Kung Fu system as a youth. 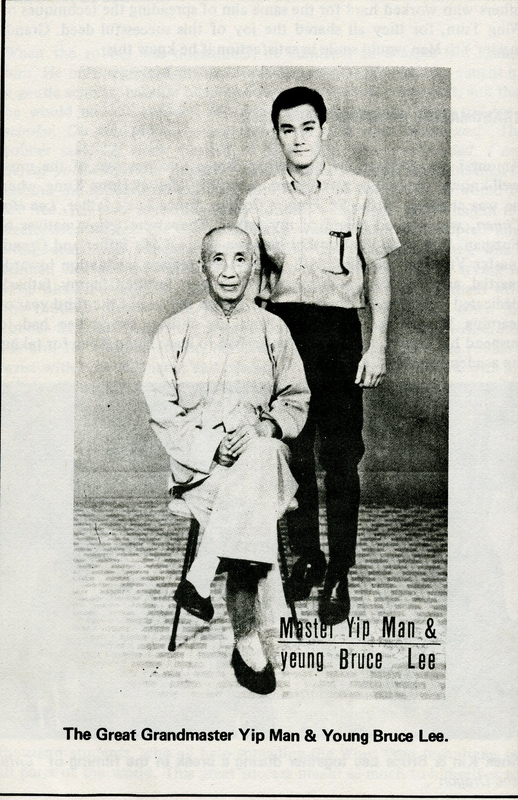 Wing Chun provided a basis for Lee's own electric style - Jeet Kune Do. Many martial artists believe Wing Chun, the only style created by a woman, is the most lethal of all the Kung Fu forms and is often referred to as 'Hong Kong Street Fighting'. Wing Chun is a very practical and scientific method of combat. Wing Chun is the only style created by a woman! There are many stories about the birth of Wing Chun, but the most popular is the story of Buddhist nun, Ng Mui. It is said she was one of 5 Grandmasters who were developing a system of fighting that was efficient and could be learnt quickly. While they were developing this system, the Shaolin Temple was attacked by the soldiers of the Manchu government something during the 18th century. 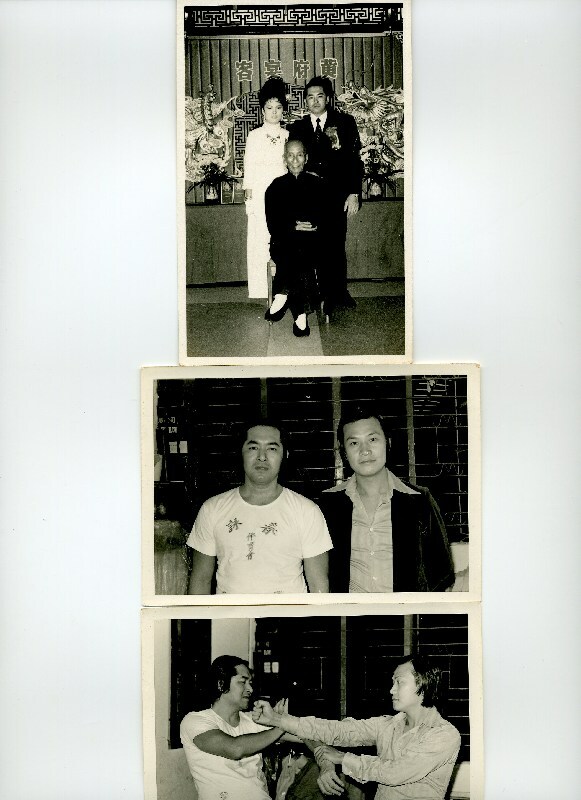 Ng Mui was lucky enough to escape and fled to the mountains to seek refuge. Here she continued her meditation and Buddhist way of life. One day she witnessed a snake attacking a crane on the ground. Intrigued, the watched the battle, being highly impressed by the cranes ability to continually evade and counter the attacks of the snake. It is said that Ng Mui combined the concepts of the new fighting style developed by herself and the other Grandmaster and the methods used by the crane, thus creating a new style. This was then taught to a young woman named Yim Wing Chun, after whom the style was named. 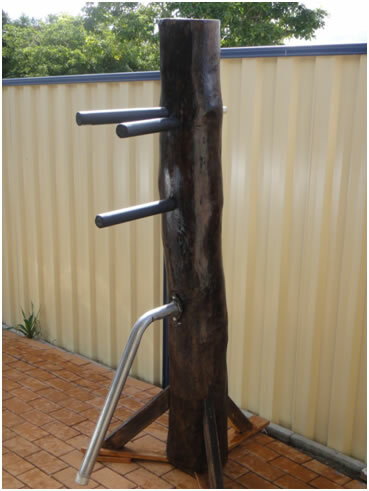 Designed for efficiency, Wing Chun's aim is to neutralise an attacker the instant an attack is initiated. 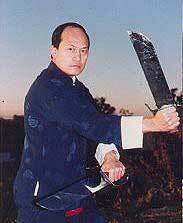 The art has no superfluous techniques, nor does it embrace a myriad of different weapons; in fact, only two weapons are studied by the Wing Chun practitioner - the Six-and-a-half-point Pole, and the Bart Cham Dao. 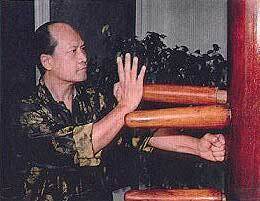 Wing Chun is especially effective at close range, and as such emphasises the use of the arms more than the legs. This prevents the practitioner from being left open to attack and also helps maintain perfect balance. Size and strength makes little difference to the Wing Chun practitioner. Rather it is preferred to reserve ones strength from the block, and instead use the opponents momentum against him. Once this situation control has been achieved, the Wing Chun practitioner can use any of a myriad of lethal strikes - finger jabs, punch, chop, palm strike, grab - to attack. To ensure that only a minimal amount of time is wasted, and effort is also kept to a minimum, the student can learn to use their defending arm to also initiate an attack, or even to use both arms simultaneously. Advanced Wing Chun students can perform such feats without evening looking at what they are doing. This is achieved by much practice of a sensitivity-developing exercise for two people known as Chi Sao, in which the combatants lock arms and try to feel their opponents next move and defend and counterstrike. * Free Standing easily to be placed in any corner of a small room. * One week notice for placing a new order. * Affordable prices from total cost $700 for Brisbane Area. Shipping and handling fees will be charged to interstate.